When I began building the Biology page of the guide, Stacy had already compiled a rather large list of leads to open educational resources. I used this list and many Google searches to find all of the resources found on the Biology page. It is surprisingly easy to find open resources using search terms like ‘open biology textbook’, ‘biology open textbook’, and ‘biology open educational resources’. These search terms lead me to several resources which are featured on the Biology page of the guide. Although, my knowledge of biology is limited, I did my best to judge the content I found. The largest factor in filtering OERs that I found was whether or not the content that I found was openly available. I looked to make sure that the material could be used for free and without having to create an account to use it. I also looked at the way the content was licensed, specifically looking for Creative Commons licenses. Another aspect of my assessment was based on the credentials of the creator. You will notice that most of the content featured on the Biology page was created by a Ph. D. in Biology or a related field. I also made note of how well the content was presented. I looked for pages that were aesthetically pleasing and had little to no broken links for instance. In the interest of time, I did my best to feature three each of the best textbooks, supplemental, and video-type resources in the guide. I know this list is not at all exhaustive of the Biology resources that exist. I would love to be notified of any resources that anyone reading this is aware of. I would gladly add it to the guide. Also, if anyone reading this who knows more about Biology than I do has an opinion of the content featured in the Biology page, I would love to hear it. Open content is largely based on community which includes feedback by the user community. The textbook section features three OpenStax textbooks. OpenStax textbooks are wonderful resources. They are intended to be drop-in replacements for traditional textbooks that are already being used by professors. They are written by experts and have been peer reviewed. The OpenStax model is a great place for someone who is looking to adopt an open textbook because OpenStax books are complete textbooks! “Concepts of Biology” is a Biology textbook for non-majors. “Biology” is a textbook for Biology majors and although it is not technically a Biology book, “Anatomy and Physiology” belongs in this section more than it does in any other. Perhaps some day we will have enough health-related content to create its own page. The Biofundamentals textbook is a well organized online textbook written by Dr. Mike Klymkowsky of the University of Colorado, Boulder. The text is full of links to ancillary content and is full of images, videos and diagrams. Each section is concluded with questions that check a readers’ comprehension as well as questions to think about during future readings. This textbook was chosen to be put on the libguide because it would make a great textbook for someone looking to adopt a new text or it would be a good starting place for someone looking to write their own Biology textbook. 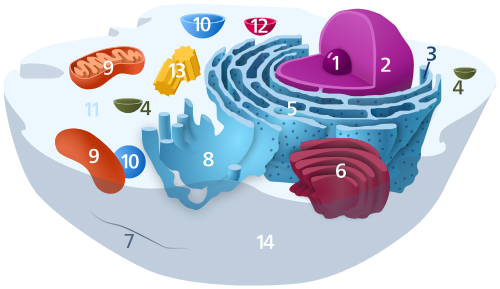 Although the Biology videos featured on the Khan Academy website do not always cover material thoroughly enough to be used as the sole study materials used to study for a college-level exam, they can be used to supplement other material. Often Khan Academy videos offer a good overview of material and can be used to get a student back on track if they are completely lost or are in need of a general explanation of specific topics. These videos might also be a good addition to a digital textbook. BioWiki is a project of UC Davis. It is a wiki being developed by students and faculty not just at UC Davis, but anywhere as anyone can create an account and contribute to the wiki. The Biochemistry and Genetics pages of the BioWiki are rather wordy and feel like a textbooks. The Medicine and Microbiology pages of the BioWiki have very little content in them and might be a great place to contribute knowledge rather than seek it out. I do not think the Biowiki would be good to use as a replacement for a textbook; however, it might be a good resource to use if compiling multiple resources into a complete textbook or simply a supplement to an existing textbook. Wikimedia Commons is not a Biology specific resource, but it can be used to search for images, sounds, or videos related to Biology. The Wikimedia Commons is a large repository that contains all of the media found on Wikipedia. Perhaps surprisingly, the content of the commons might be useful as a learning or instructional tool as it contains microscopic imagery and other resources that are necessary to learn topics that cannot be visualized. All of the material in the Wikimedia Commons is either in the Public Domain or is freely licensed. The video section of the Biology page will probably not be all that useful to professors; however, it may prove to be immensely valuable to a student who had to miss a lecture or has fallen behind in class. There are three links to videos, all three are formatted in the same way, but their content may differ. The content from MIT is a complete lecture series from an Introduction to Biology class and the content from UC Berkeley is a lecture series titled Biology. Apparently UC Berkeley’s Biology class is divided into two parts. Again, please keep in mind that there surely exists many more open Biology resources. If you happen to find some or have any tips for me about the quality of the materials listed in the guide, I would like to hear about them. HMM – I have Opera on my Mac, and the page looks OK for me – what OS you running?